As we all know, a person who take birth on this earth has to die one day. No One ever predict whether or where it happens. But it surely happens one day. Nobody knows they awake next morning or not. People always fear of death because they don’t want to leave this world and their loved ones. But you can lessen the burden of your family members by planning your own funeral. Funeral planning can seem overwhelming. Losing a family member is an emotional experience, and grief can make the funeral planning process difficult in the meantime. Pre-planning of final arrangements helps to give relief to your family in both emotional and financial burdens. However, funeral pre-planning services also offer support to those who have an immediate need to plan a funeral for a family member or friend who has passed away. Funeral pre-planning services offer all the arrangement and provide all the benefits to your family after you pass away. Final farewell offers funeral pre-planning services that can help your loved ones to better cope with your passing. By offering the ways for you to communicate with your loved ones one last time and lessen their burden. Funeral pre-planning services give them closure and strength when they need it most. Any time is a good time to plan your funeral … except at the time of the funeral. You planned everything in your life right from the beginning of your life, then why not the funeral. There are several reasons that will make you think about planning your funeral in advance. The funeral is psychologically ignited the sense of closure for the family & helps them to begin the healing process. Families feel good and relieved by honoring the lives of their loved ones with a fitting ceremony and proper send off. Pre planning of funeral will ease the burden on your family. They will not get confused about what you would like for your funeral. Whether you wanted to be buried or cremated. All the things were pre planned already so the funeral will be flawless & satisfactory. If you want that your family will never get into problems with your funeral cost, then you can go with several funeral insurance and funeral trusts that will help you to cover your funeral cost effectively. Also, pre planned funeral help you get all the things you wanted for your funeral. Like if you wanted to have a headstone, then you can plan to have it. Whether you want a music at your funeral or not, you can plan everything. It is just like that you planned funeral that you wanted and deserved. Final arrangement or can say pre-planning of funeral gives a great chance to remember you in a way in which you want. The final arrangement of the funeral is offered the medium to make a smile over faces your loved one when they remembered you. When you make funeral pre-arrangements, you put your wishes on paper so that your loved ones will know exactly how to celebrate your life and honor your memory. Like most things, funeral costs tend to rise every year. That means that a funeral today will probably cost less than the same funeral three or four years from now. Paying for your funeral now can save your loved one’s money. With the help of pre-planning funeral services, you can reduce the burden the financial cost of your loved one. They will know exactly what needs to be done. That’s because you’ve taken all of the guesswork out of planning your funeral. When you pre-arrange your funeral, everyone got the benefits. You know that your wishes will be carried out and your loved ones know exactly how to honor you. Pre- planning your funeral arrangements allows you to convey your last wishes to your near ones. Sometimes there are many things that you want to say to someone but due to lack of courage or your shyness, you can never tell them in your lifetime. Funeral Services helps you in writing those wishes for every particular person so that your last goodbyes are always conveyed to them. Today the preplanning of funeral is a wise step to take. You have lived all your life with self dependency and have decided all good & bad for yourself. Then why not your funeral? You deserve a well defined and memorable good bye. So don’t think twice on what you need to do. Just start planning your funeral. Though you probably can’t use them to buy groceries or a pair of jeans from Amazon, cryptocurrencies, if you happen to own them, merit careful consideration during the estate planning process. With the recent spike in value for select cryptocurrencies, making sure your digital assets are properly managed and able to be transferred in the case of a life-altering event has never been more important. What are some examples of cryptocurrencies? 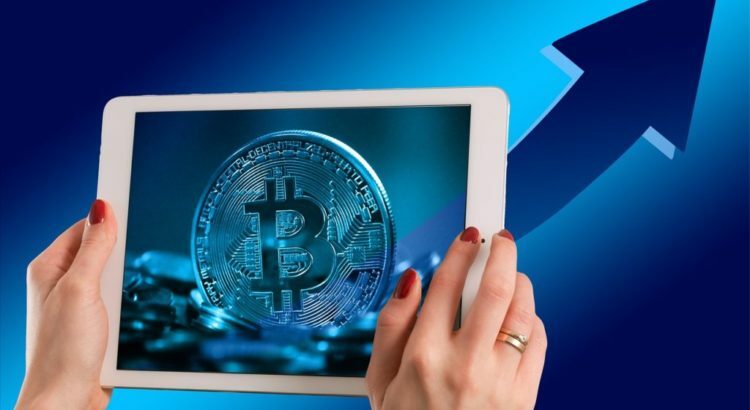 First developed in 2009 and currently trading at upwards of $7000, Bitcoin, a worldwide cryptocurrency and digital payment system, has dominated the vast cryptocurrency market. The transaction involved in bitcoin transfers occurs directly between payer and payee, without an intermediary; there is no physical representation of the currency and there is no central bank that regulates or processes transactions. Owners of bitcoin are issued a “wallet,” that contains the two required components for a transaction to occur: the bitcoin address and the private key one must enter to effectively transfer money to a different address. Unlike physical currency, ownership of bitcoins is not linked to a person, but a digital entity with a unique public address. Moreover, in a transaction, bitcoins are transferred from one address to another, and all transactions are recorded in a public ledger called a blockchain. Since its inception, competing cryptocurrencies such as Litecoin have also entered the market hoping to acquire some market share. Like Bitcoin, Litecoin is a digital, peer-to-peer cryptocurrency unmanaged by any central authority. Unlike Bitcoin, however, Litecoin claims to have almost zero payment cost and authorizes transactions almost four times as fast as Bitcoin. Released in 2011, Litecoin reached a market capacity of $1 billion in November of 2013 and over $2 billion by August of 2017. How do I properly transfer my cryptocurrencies? Similarly to other appreciating assets which you may own, such as a house, it is best to have a plan in case the worst ever comes to fruition. The same applies to cryptocurrencies, especially considering the unprecedented growth they’ve experienced in the last several years. Unlike real estate, digital currency cannot be transferred through a written will, and therefore it is essential to understand the necessary steps involved in planning the transfer of these assets. With regard to estate planning, there are three fundamental steps for the effective transfer of Bitcoins: making beneficiaries knowledgeable of the assets, supplying them with the necessary means to access those assets, and keeping in mind the issue of relevant taxes when beneficiaries inherit them. The first step is generally applicable to estate planning, regardless of the type of asset in question. If you wish to transfer real estate or other assets to friends or family, you need to inform them of the assets’ existence and of your current ownership over them. The same is especially true of digital assets, because the process of retrieving them is specific to cryptocurrency. Without a proper plan in place, you run the risk of easily losing valuable assets, so it is important that all potential beneficiaries are aware of their existence. One of the biggest challenges with transferring ownership of these digital assets is inherent in the anonymity of cryptocurrency. There is no central administration that overlooks or manages transactions, and therefore, the only individuals that can access Bitcoin assets of a deceased loved one are those with access to the information contained in the person’s Bitcoin wallet. Though a will cannot be used to transfer cryptocurrency, a written document can certainly be used to provide detailed instructions to loved ones on how to access an owner’s wallet. A similar option entails making copies of a wallet and distributing them to beneficiaries, who should, in turn, keep the entrusted document in a safe or another similarly secure location. If you wish to distribute your assets among several beneficiaries, you can create a multiple-signature account that would require at least two private authentication keys to access them, and give a copy of your wallet to each beneficiary. Like with physical property, you may be able to further reduce your tax burden by placing your digital assets, such as cryptocurrencies, by placing them into designated trusts to transfer their ownership before your passing. If you happen to own intangible assets like Bitcoin, you need to make sure that you have an effective and detailed plan that will aid your loved ones in inheriting the assets in case the unthinkable happens. Given that the process of transferring digital currency is rather unconventional, it is important that you leave any intended beneficiaries with the necessary information to access your cryptocurrency, and plan wisely to reduce the tax burden on their shoulders. When engaging in estate planning, it is highly recommended that you consult with an experienced estate planning attorney. For professional assistance in this matter, contact The Law Office of Inna Fershteyn and Associates, P.C. at 718-333- 2394 or visit our website and schedule your consultation today. No matter what age you are in life, you are always going to be planning for the future. This is simply a part of our culture, and as we age, our future plans can seem gradually more attainable since everyone knows how inevitable future life events are. It’s always the safest route to be as prepared as possible. Many people get caught up with planning their lives perfectly, their end of life plans can be put off and even seep through the cracks of their preparations until it’s too late. 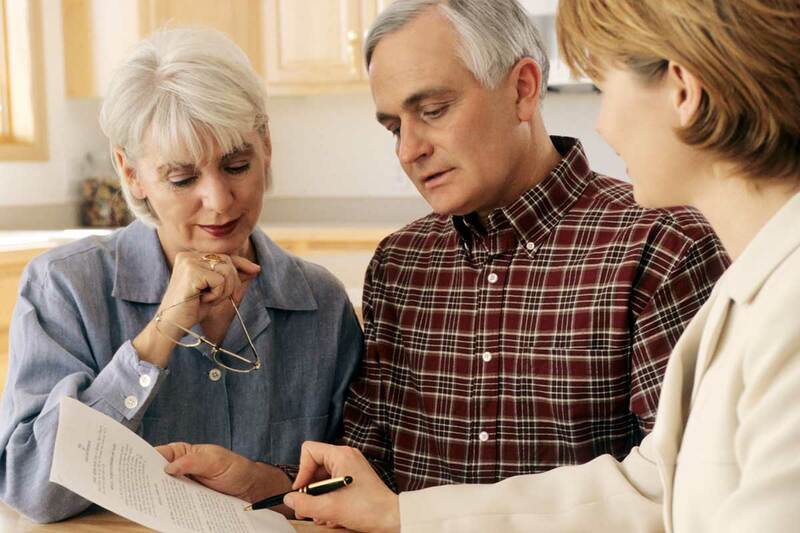 Some of the major legal documents everyone must consider in terms of end of life planning include things like a power of attorney and a living will. In general, end of life planning allows people to live out their final years of life with dignity and a lack of stress for themselves and their family members. End of life planning for many people can include retirement plans and all of the financial responsibilities throughout one’s career that go along with retirement. It also involves some very difficult decisions that can affect an elderly person’s family, both emotionally and financially for years. Many times, end of life planning will entail making sure you and your family are on the same page legally and financially in the case that you one day become mentally incapacitated and cannot make decisions for yourself. This includes power of attorney and living will documents being created, but it also includes much more than that. Planning your options for end-of-life care is also extremely important, and there are several options for care and how to pay for special treatments. Nursing homes always offer the most amount of around-the-clock skilled care outside of a hospital, and for certain individuals who need constant attention nursing homes can be a good option. Of course, many people don’t want to live in a nursing home and prefer living in their own home, but in many cases with terminally ill patient’s, special equipment and nursing care is required. How does one go about end of life planning? This is the most basic document that goes into end of life planning, and it specifies exactly how you want your assets distributed once you’ve passed. If you do not make a will, your assets will be taken to probate court where they will decide how to divide your property according to your state’s inheritance laws. 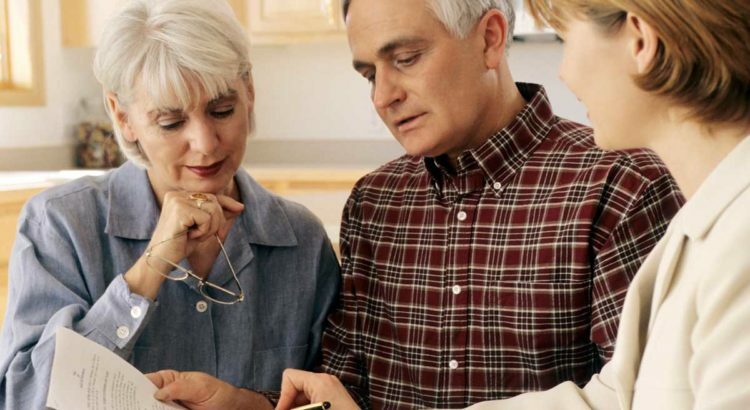 A will is limited in terms of estate planning, thus it’s essential to also establish a living trust so you and your beneficiaries can manage your assets before and after you die without legal conflicts. Some of the assets that you can put in a living trust include stocks, artwork, vehicles, real estate, bank accounts, jewelry, antiques and much more. It’s important to make sure that your assets go to the right person with as little legal hassles as possible. One critical aspect of this part of the end of life planning process is to establish a right of survivorship in the case that you and your spouse have set up joint bank accounts. When you set up a right of survivorship your spouse receives your assets without any hassles in probate court. Reviewing your life insurance is always necessary when it comes to your end of life planning, and that mainly is to ensure you have enough coverage for you or your spouse in the case of a sudden death. Long-term disability and care coverage are also important insurance options to consider since having these types of policies can end up saving you a lot of money in the long run. Why is it financially responsible to plan for death? All three of these crucial financial responsibilities allow you and your family to encounter your passing properly, and that in it of itself is a beautiful last gift to give to all of your loved ones. Since 2003, we have seen a significant shift in how our information is stored, delivered, and used. In the past I used to advise clients to look in the mailbox for bills and statements to locate the assets of a deceased loved one. Now, in 2016, the mailbox is electronic and the bills, statements, and other notifications are getting to be all digital. We are seeing our lives transitioning to the internet “cloud” every day. Regardless of how much we like it, or how comfortable we are with it, our lives tomorrow will be different that they are today. This evolution in how we do what we do is causing, for some of us, a disconnect in how we see our world. What used to be obvious is now more subtle; what used to be challenging is now easier. And because of these changes, we take so much more for granted. Those pictures taken of uncle bob and his kids on Instagram; the documents received from a colleague stored on Dropbox; the credit card bill from Netflix; the invoice of your personal items from Amazon; the profile of you on LinkedIn; remember that payment via bitcoin or PayPal? ; and don’t forget your timeline on Facebook. The technological changes we have been experiencing have enabled us to leave an imprint of our lives online in so many ways. And whilst this is nice and it certainly is easy, the question that few are looking at is what happens to these digital ghosts of our lives after we have passed away? Last year, in 2015, there were approximately 83 million Americans who had atleast one of their online accounts hacked if we look at just the top four hacks of the year. 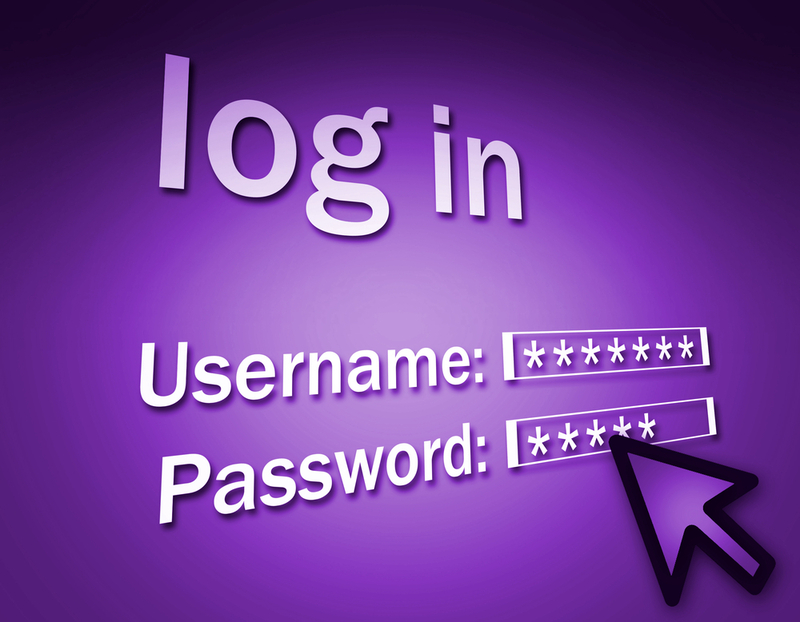 About 80% of all people who pass away in the United States have online accounts of one sort. As time goes on, that number will only increase, as the Gallup pollclearly shows. Of course, the more we go online, the greater the threats from hacks, ID theft, misappropriation of information, and con-artists absconding with ill-gotten funds. One personal anecdote I can share is that of a childhood friend of mine who passed away leaving behind an infant daughter. A miscreant posted on her Facebook page a link to have the friends and family donate money for a “charity” for the benefit of the child. After a time, those funds were collected and the person disappeared into the ether. This is just one case of many where people are abused during a time of emotional stress. Several challenges face those survivors acting as representatives of the deceased when it comes to closing or accessing the still active accounts of the deceased. First, identifying the active accounts may be an issue if no inventory is left in place. Second, the representative has to have the time to navigate the web sites of these accounts to even determine who to contact or what form to complete so that the account can be closed. Sometimes these accounts may need to be accessed rather than closed, and that’s another significant matter that will be discussed below. Third, not every online account will require the same information to close such the account. For example, while Facebook may simply require proof that the person seeking to close an account is an immediate family member, LinkedIn requires the member’s name, your relationship to them, the company they worked for, a link to the profile, and the member’s email address; just to cite two examples. As the internet ages with us, a critical mass is developing in the legal community and state legislatures to better help the representatives of the deceased to handle these online accounts. A national framework called the Revised Uniform Access to Digital Assets Act (RUFADDA) has been drafted to enable access and closure to these accounts. The difficult path that lies ahead is in having all states enact laws within their own legislatures that will ratify the RUFADDA. At present about 54% of the states have begun the process of introducing legislation dealing with this. Florida is set to put into law it’s version this July. We can’t forget though that while the United States created the internet, it is worldwide, as are people’s accounts. So while our nation is slowly making strides, many online providers have no process or legal structures in place to allow for the living to handle their loved one’s accounts. Further, and as I alluded to earlier, there is a bright line that cannot be crossed when dealing with the accounts. Accessing an account requires prior consent from the account owner. When was the last time you completed a form allowing your representative to access your email account. Most likely, the answer is “never.” Here, the Stored Communications Act (SCA) and the Federal Computer Fraud and Abuse Act (FCFAA), actively prevent any unauthorized person from accessing such accounts. Doing so opens the door for civil and criminal penalties against the online account provider and yourself, if you were to access your loved one’s email, for example. 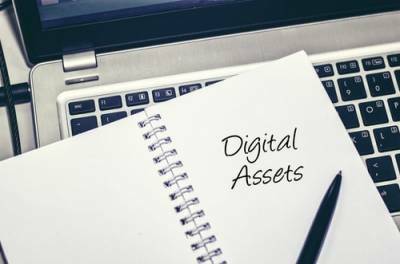 When examining the upcoming legal structure of the states’ work, it is very important to understand that the deceased’s digital assets are exactly that – assets. They must be dealt with in the same way a person’s other assets are handled, and that is by using a durable power of attorney or guardianship while a person is alive, but incapacitated, and through a person’s Last Will or Trust when deceased. This will necessitate a court supervised administration of the estate to deal with the digital estate even if a person had no others financial assets to speak of. There are things that can be done. First and foremost, speak to an attorney who is versed in digital estate management and who has the understanding and capability to ensure your legal estate documents are up to the future task of providing the prior consent required. Next, work with certain online companies like EstatePass.com to safeguard your information while living and will ensure your and your future representative’s legal rights are protected by having the prior consent on file, or if dealing with the accounts of a deceased loved one, EstatePass.com will provide a simple online tool to help you close the necessary accounts. Remember: simply having a list of accounts and passwords does not protect your rights or give a representative the authority to access these accounts. So if it is embedded in our nature, what potential do we have to perpetuate ourselves as humans in the 21st century? In 2011 Russian entrepreneur Dmitry Itskov employed leading Russian specialists in the field of neural interfaces, robotics, artificial organs and systems, proposing the transfer of personality to an advanced non-biological carrier at the end of an individual’s natural lifetime. The ultimate objective of this project is the development of a hologram-like avatar with an artificial brain to which human personality is transferred. Whilst many remain sceptical, and are concerned by the ethical implications of such technological developments, our physical presence in this world remains limited, for the time being, and is set to remain indefinitely so. This is why the emergence of online digital legacy tools, that provide us with the opportunity to record our lives online and leave an everlasting legacy, provide a meaningful solution to the aforementioned conundrum concerning ‘immortality’. Such tools have the potential to capture every aspect of our lives, enabling future generations to obtain a complete understanding of who we truly are; including what we achieved, the values we upheld, the causes we represented, and what we held dearest during our time on this earth. Loggacy is one such digital legacy tool; founded with the intention of connecting generations of family and friends, so that our most precious memories and experiences may be preserved perpetually. Loggacy was very much born from a personal desire to never be forgotten, as I find it a sad reality that I am only able to remember my ancestors through snippets of physical information, such as photographs or writings that were supplemented by short narratives from living relatives. I hope that my vision now means that when I pass this won’t be the case, and that my children, grandchildren and beyond will be able to learn about everything that I embodied throughout the course of my lifetime. I contend that this feeling extends well beyond myself, and indeed, I believe that there is an innate human desire within us all to create a personal narrative, to leave something behind, to pass something on and make a mark on this world; which is as much future-oriented as it is an immersion in the past. As such I created a platform that is available for all to use; because it is a fundamental right to be remembered, to achieve some form of immortality. The beauty of the tool is that the account provided by Loggacy is yours to control, manage and share; and therefore you determine exactly what people learn about you and what they are subsequently able to remember you by. 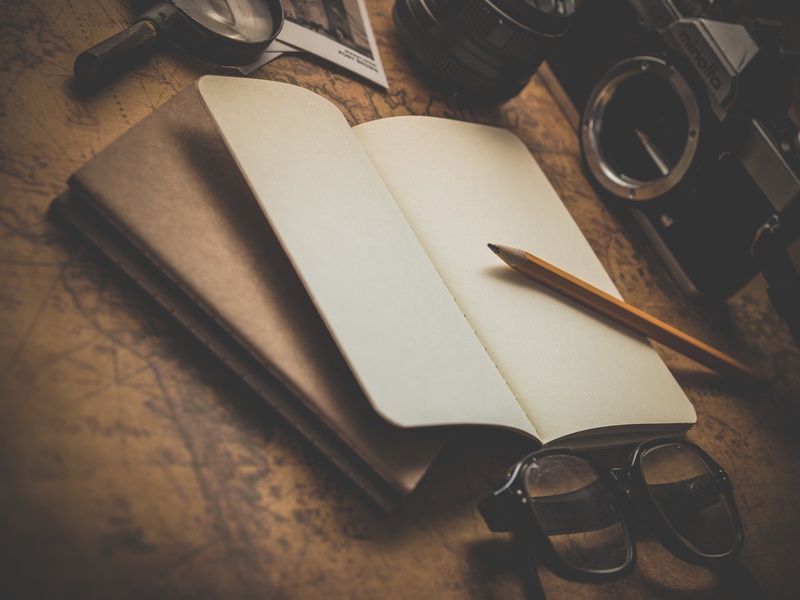 Whether it be detailing a romantic getaway, your wedding or your child’s first steps, Loggacy welcomes you to create a log documenting your life from birth through to the present day and share it only with those most precious to you. Many of us make plans for end of life, whether it be in the form of a funeral or pension plan, but little emphasis is currently placed on how we may utilise technology to record our lives, and as such, preserve our legacies. I intend to change this through the creation of a safe, secure and intuitive platform that allows users to record the most poignant moments of their life; so that future generations may truly know and understand their heritage. Regardless of how seemingly menial our personal stories or achievements may appear to us on an individual level, we all have memories and experiences that are of interest to others and it’s important that these endure.